When Clint and Cheryl welcomed their son, Luke, into the world on March 8, 2007, they couldn’t help but smile. They smiled as they took him home from the hospital. They smiled as they rocked him safely in their arms the first night in his new home. They smiled as they watched their firstborn, Cody, dote on his new little brother. Despite, Luke’s very fussy first few months, reflux, and colic they continued to smile with joy over the newest member of their family. 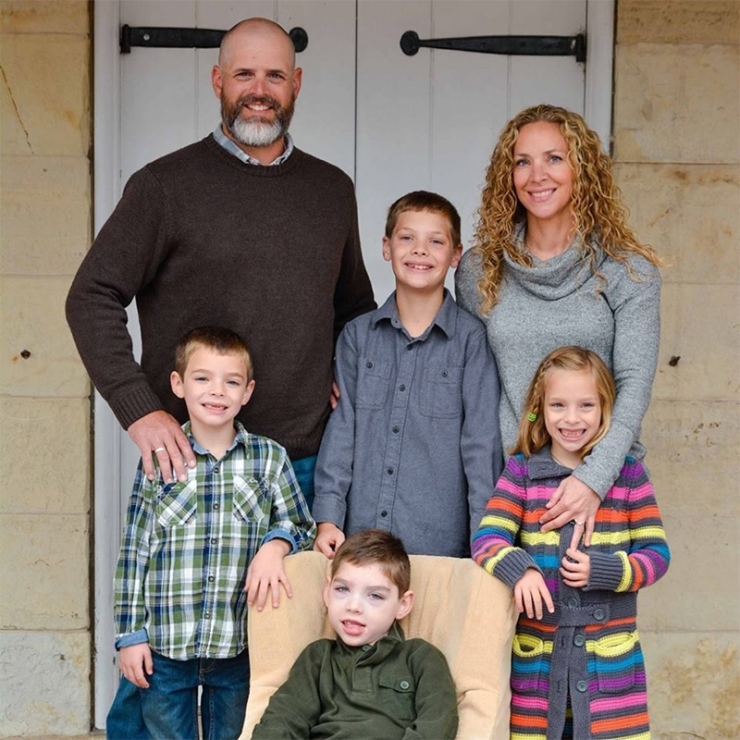 Luke endured countless tests before finally receiving a diagnosis. 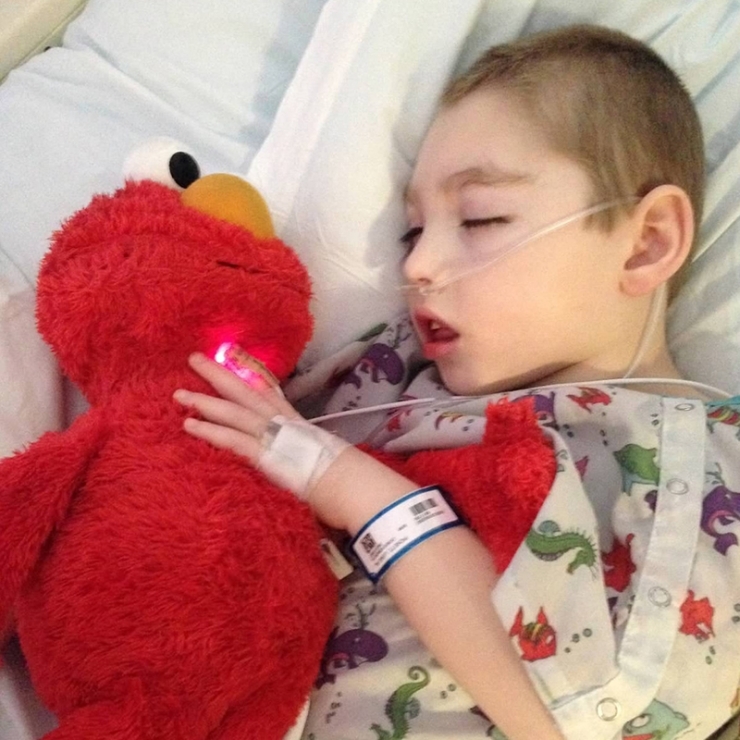 His best friend, Elmo, was always right by his side. With no explanations or guidance from the doctor, Cheryl and Clint took their son home to begin adjusting to their new normal. A normal in which Luke would never run around the yard, play tag, wrestle or fight with his big brother. It was a life they never imagined for themselves, their family, or their son. One of Luke’s favorite places to be is in the water. He enjoys the freedom of movement—kicking his legs and splashing. Eventually, “You get to a point where – you never really accept it, but you stop trying to fix it.” Clint and Cheryl came to the conclusion that, “this is our life, and we’re going to live it the best we can.” As they woke up each morning to face their new lives, which included physical, speech, occupational, and aqua therapies, they still felt as if something was wrong. Parent’s intuition told them that something still wasn’t right. There must be something they were missing. Luke’s MRI was completely normal. Was this more than Cerebral Palsy? Could it be genetic? As a baby, Luke loved to be held. Some things never change, and his mom sure doesn’t mind! When the family moved from Missouri to Northern Virginia for Clint’s new job as a lineman, fate stepped in. They learned that the best doctor in the nation for what they thought may be a genetic disorder was in Washington D.C. -- just 60 miles from their new home. After two years filled with genetic and DNA testing, MRI’s, CAT scans and a heartbreaking epilepsy diagnosis, they finally got an answer. 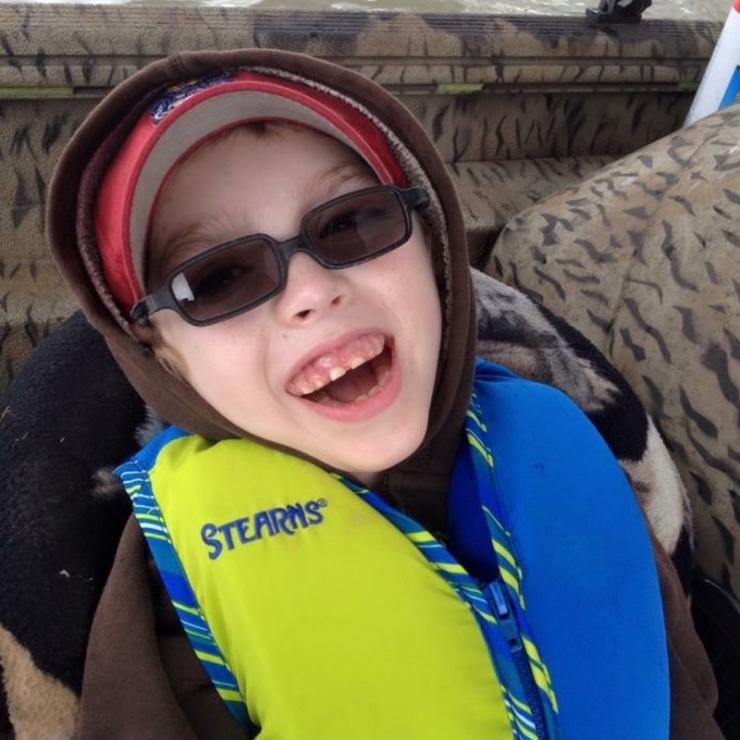 Luke didn’t have Cerebral Palsy, but an incredibly rare genetic disorder known as Allan-Herndon Dudley Syndrome or MCT8. This inherited disorder is characterized by cognitive delays, impaired speech, diminished muscle tone, and movement abnormalities. MCT8 is so rare that Luke is one of only 200 others in the entire world with this genetic mutation that wasn’t discovered until 2008 -- a year AFTER he was born. Despite the many obstacles and challenges he’s faced, Luke manages to smile. His smile serves as a much needed source of encouragement to his parents. Although the new diagnosis did not change the way his family loved, supported, and cared for him, it finally gave them some much-needed relief as they learned that MCT8 is not progressive nor is it terminal. It was a victory, a small victory, but a victory nonetheless. And this victory gave them some much-needed hope and a reason to smile again. “Luke is a blessing to us. 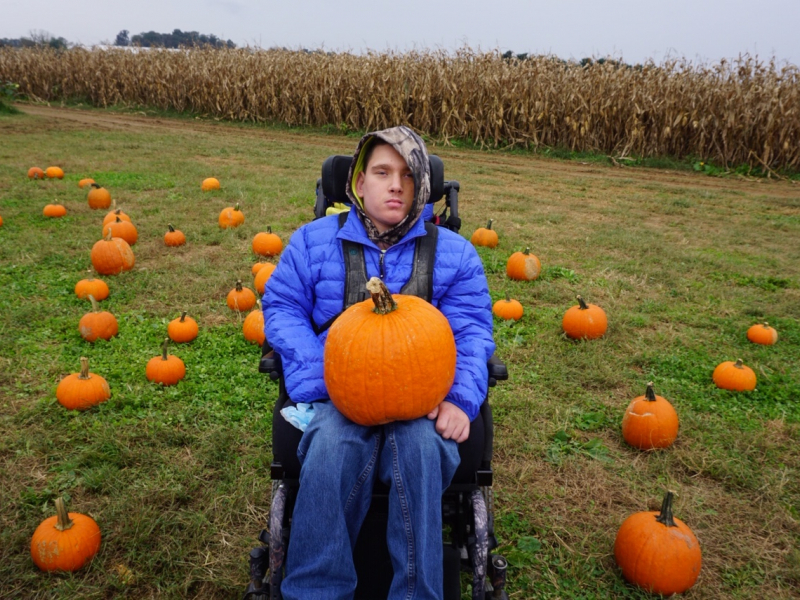 Luke is a blessing to our kids.” Cheryl tells us that Luke has taught their family to have more empathy and compassion towards anyone with disabilities. However, their smiles fade from time to time, especially, when Luke starts crying during the long rides to see his specialists. In the family’s current vehicle, Luke doesn’t have the physical support of his wheelchair to make him comfortable. Because he can’t verbally communicate what causes his tears, his parents can only assume that they are caused by his incredible discomfort. Luke and his family’s smiles have been restored thanks to the generosity of an online community. 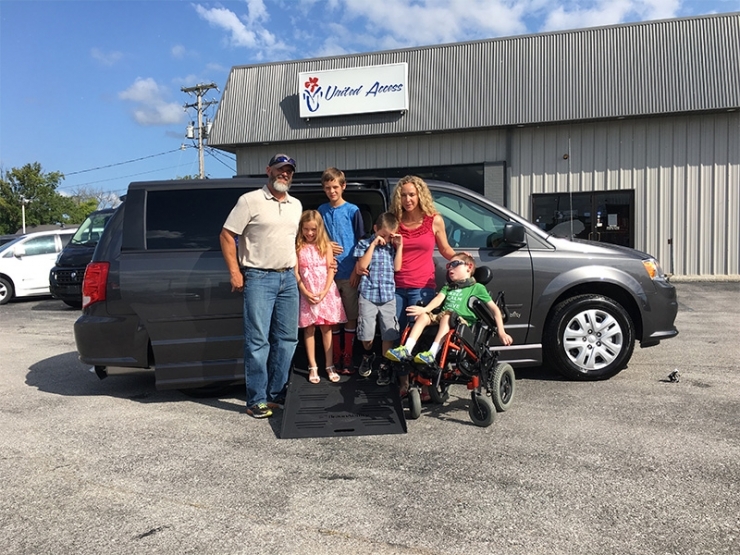 Because of our monthly donors, Chive Charities was able to provide Luke and his family with a $57,000 grant, which was used to purchase a wheel-chair accessible van. Luke no longer has to take the long trips to therapy and doctors appointment in discomfort with tears streaming down his face. 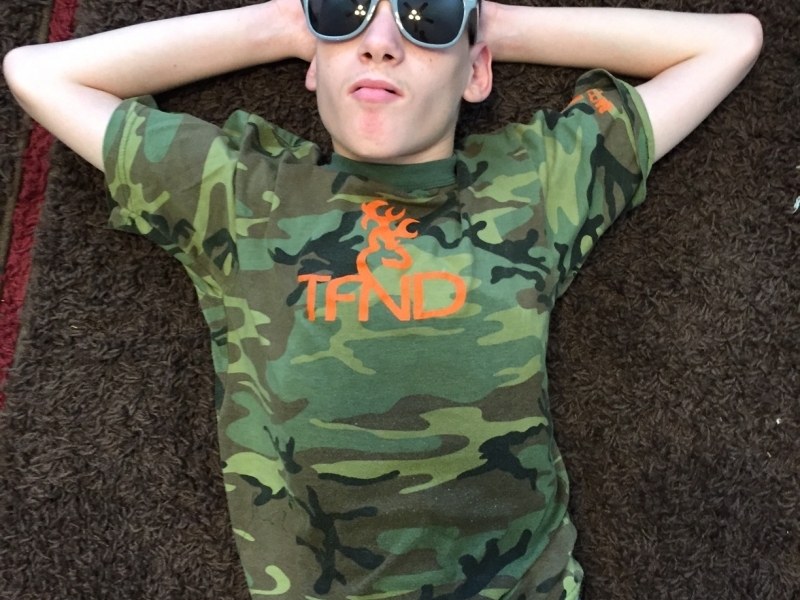 He can now stay in his wheelchair and have the support he needs and the comfort he deserves. That’s enough to put a smile on anyone’s face! Luke’s discomfort extended from the car to his bed. Luke can’t lay flat in his bed for a number of health-related reasons including aspiration, which could lead to pneumonia. As a result, he has to be propped up with pillows. Additionally, his parents struggle to lift their 9-year-old son that weighs over 50 pounds out of his current bed. 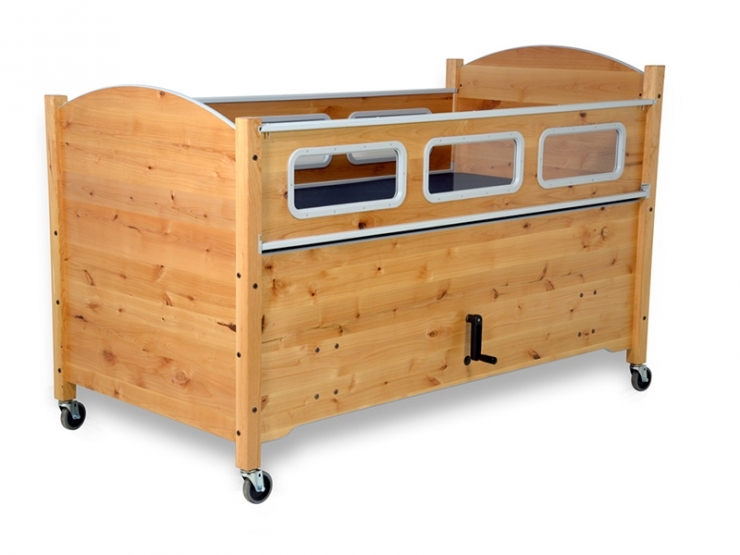 Because everyone should enjoy the relaxation of a good night’s sleep, the grant Luke received was also used to purchase a specialized bed. With the new bed, not only can the bed height be adjusted, but Luke’s position can be adjusted as well. These adjustments will be great for Luke’s comfort and his parent’s backs! Now, Luke can comfortably and safely enjoy trips to and from his various appointments. 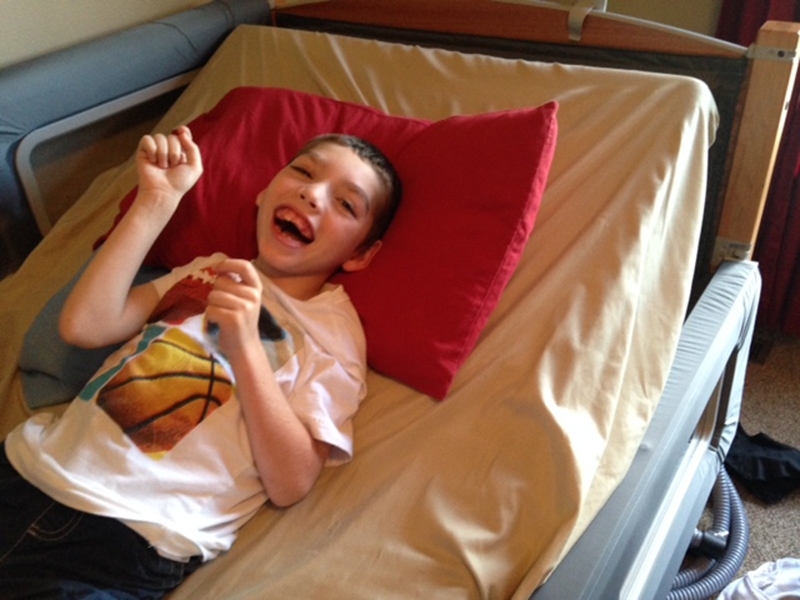 Then, Luke can enjoy a restful night’s sleep in his new specialized bed—ready to wake up each day to take on the world with a smile on his face! 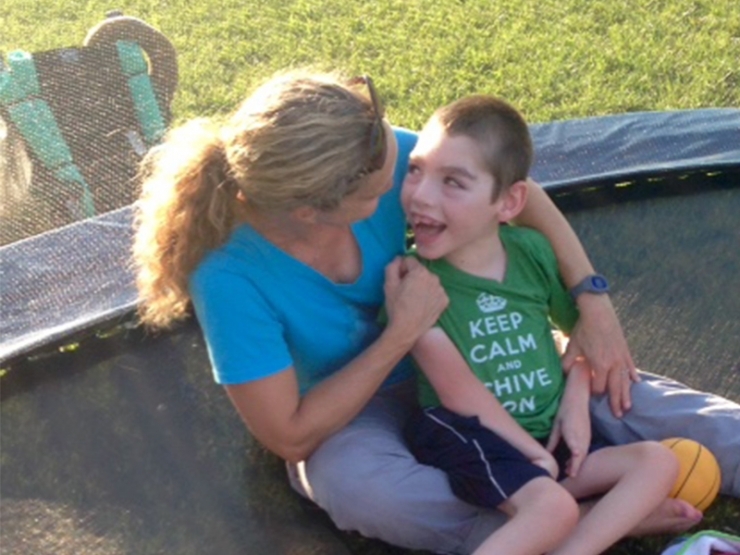 To learn more about becoming a Chive Charities member and making the world 10% happier for recipients like Luke, visit Chive Charities HERE. Learn more about MCT8 HERE.